Glass is sleek. Glass is modern. 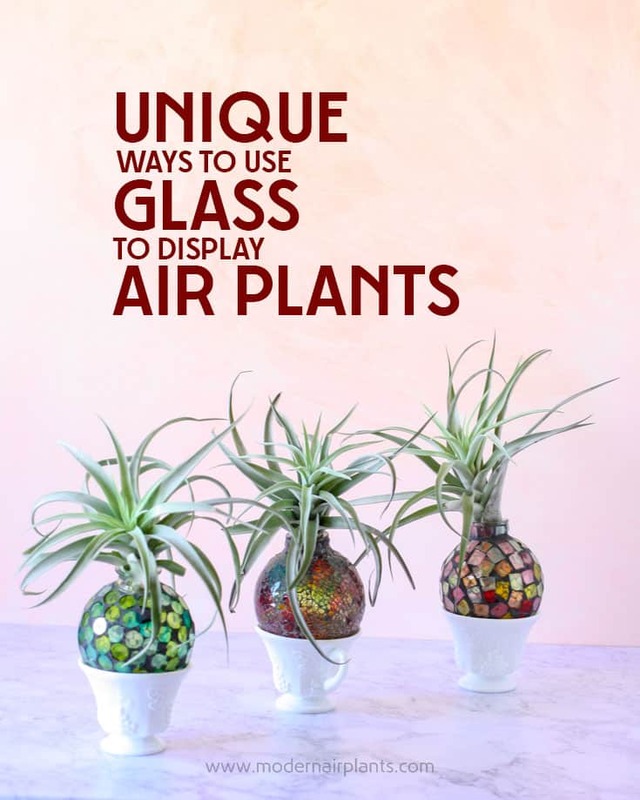 Find out how to create glass air plant displays beginning with the quintessential terrarium and then move onto unique glass displays like re-purposed glass hummingbird feeders. To begin, gather items to set the tone for your display. To create a beach scene, use seashells and sand, or perhaps you prefer a mystical ambiance with crystals and geodes. Whatever media you decide on, make sure that it is dry. 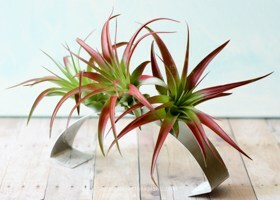 This will help to prevent your air plants from rotting. 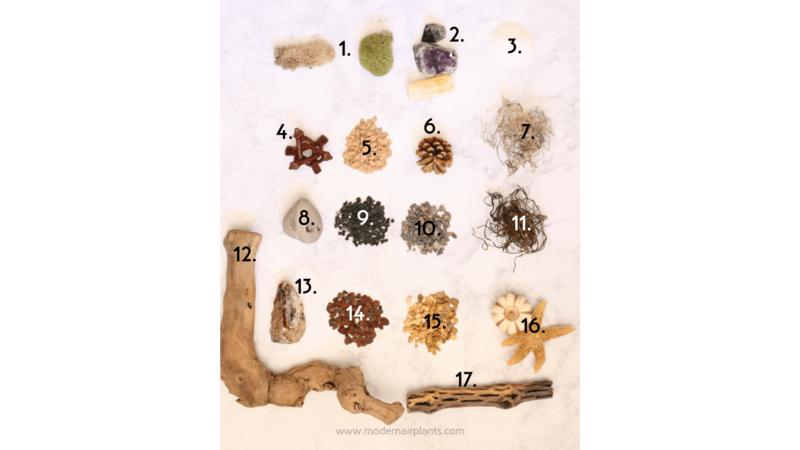 Here is some examples of items that I’ve used to create air plant displays. The things you use will be unique to yourself. 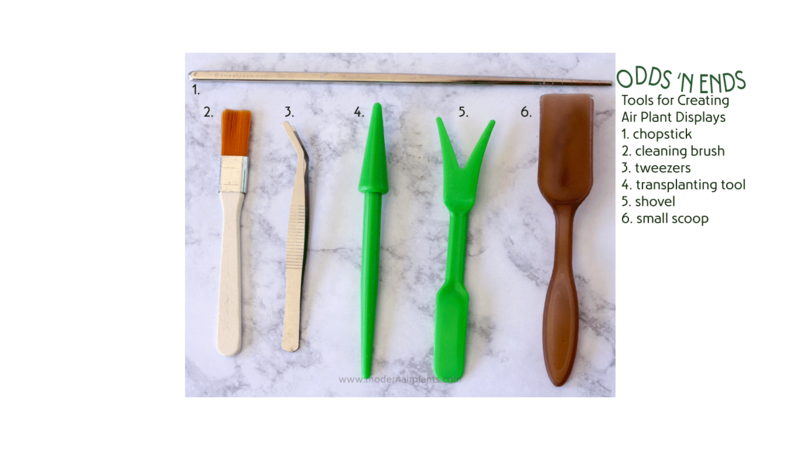 There a few tools that are helpful, but not absolutely necessary, for creating your display. The chopstick shown is stainless steel, and is free with purchase from Bonsai Jack. The other tools are part of a planting kit. 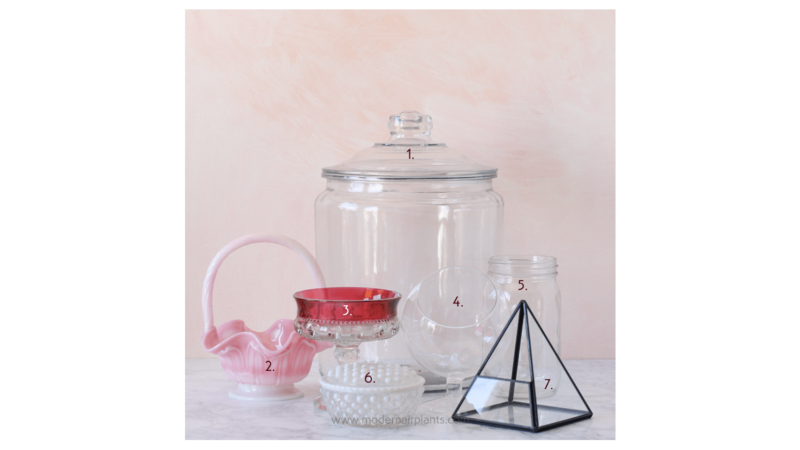 Be inspired by these glass containers. Let the examples below spark your imagination. 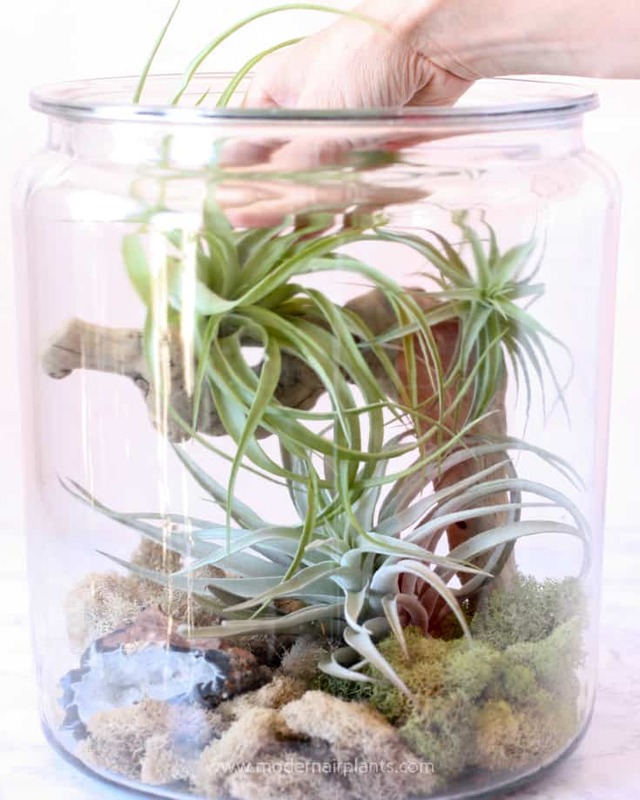 When it comes to glass and air plants, we tend to think first of terrariums. And, with good reason. Terrariums are like magical little kingdoms. 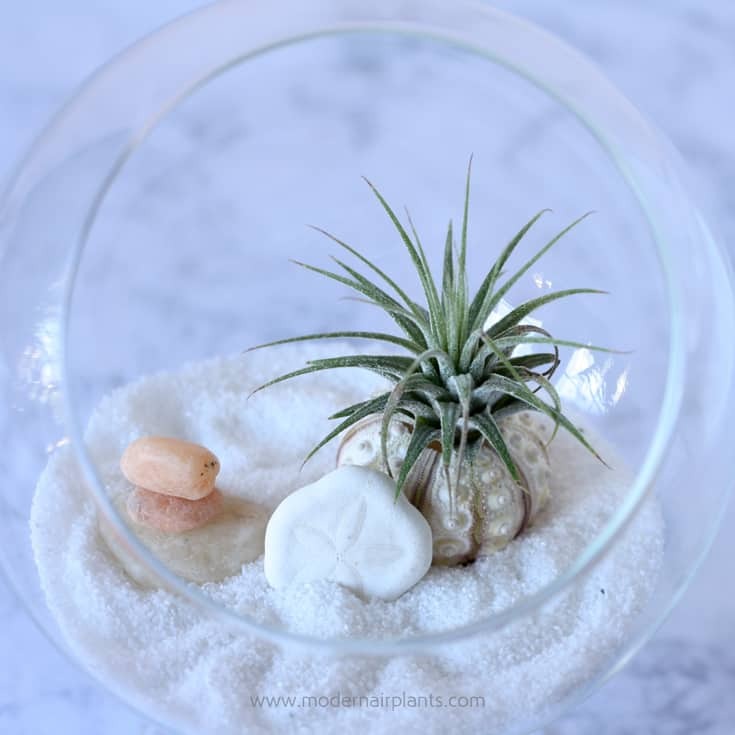 However, terrariums are not the most healthy environment for air plants. Excessive heat and condensation can create a deadly environment for your plants. I’m not saying that you shouldn’t create a terrarium, I’m just saying, that your plants will eventually need to be replaced. The more open to air the terrarium is, the better chance of survival your plants will have. 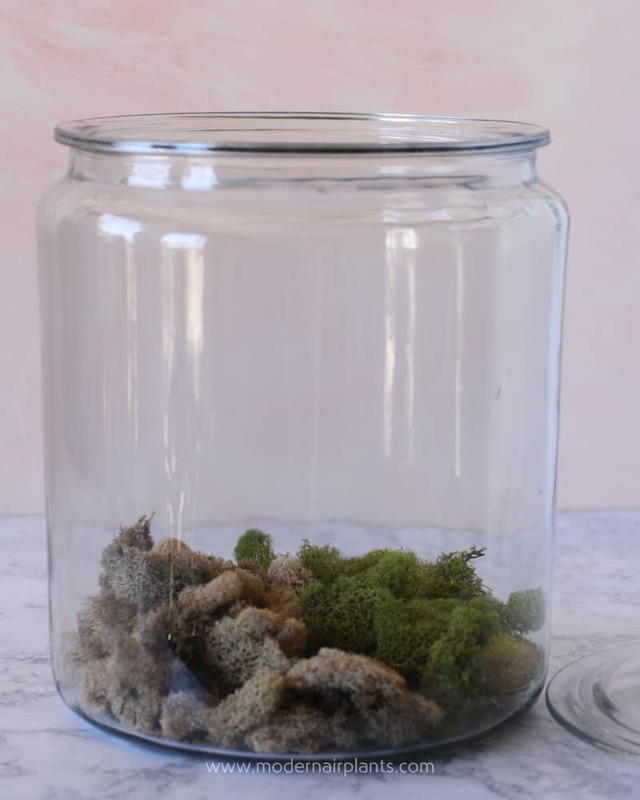 When creating a terrarium, the first step is to fill the bottom of the container with some sort of dry media. In this case, I have used preserved moss. 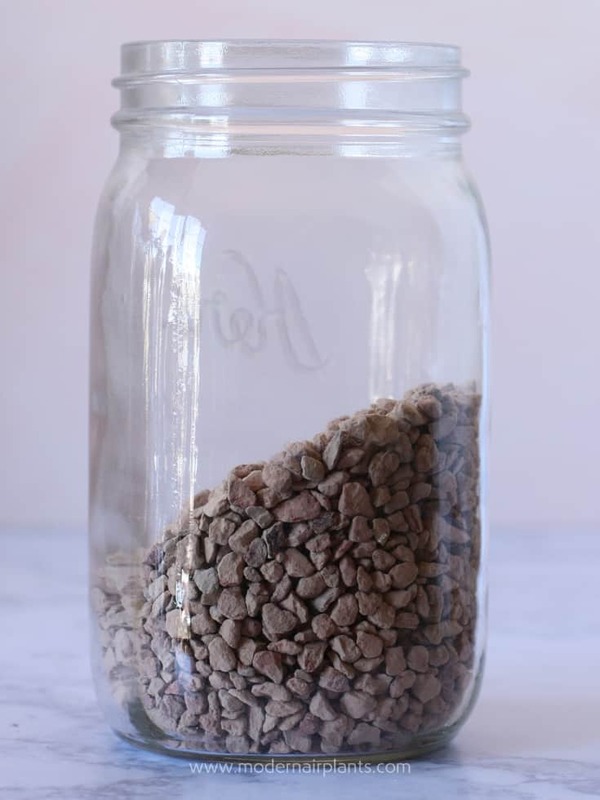 Sand and pebbles are also common choices. 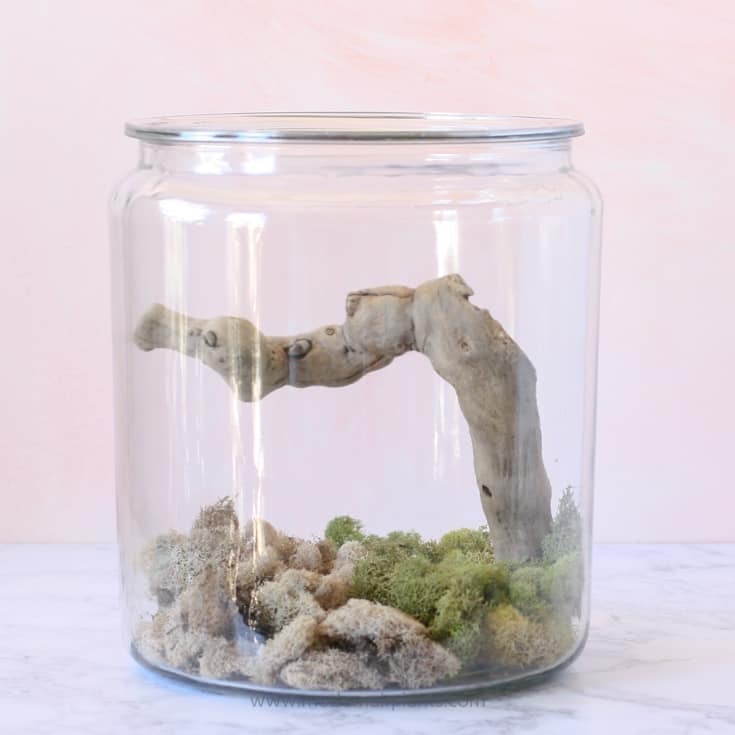 Next, use branches, seashells, rocks or other materials to set the mood for your terrarium. 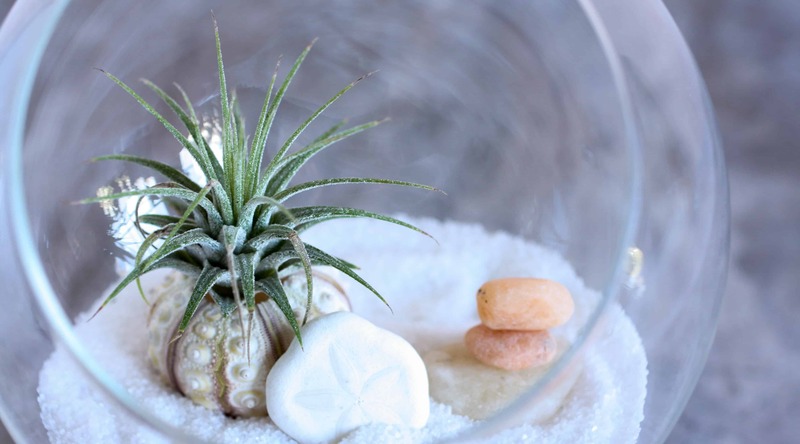 Finally, add air plants to your terrarium. As another example, in this mason jar I’ve added monto clay and tilted the jar so that the clay would lay at an angle. Next, I’ve nestled a red rock into the clay, an essential ingredient for a southern Utah desert look. 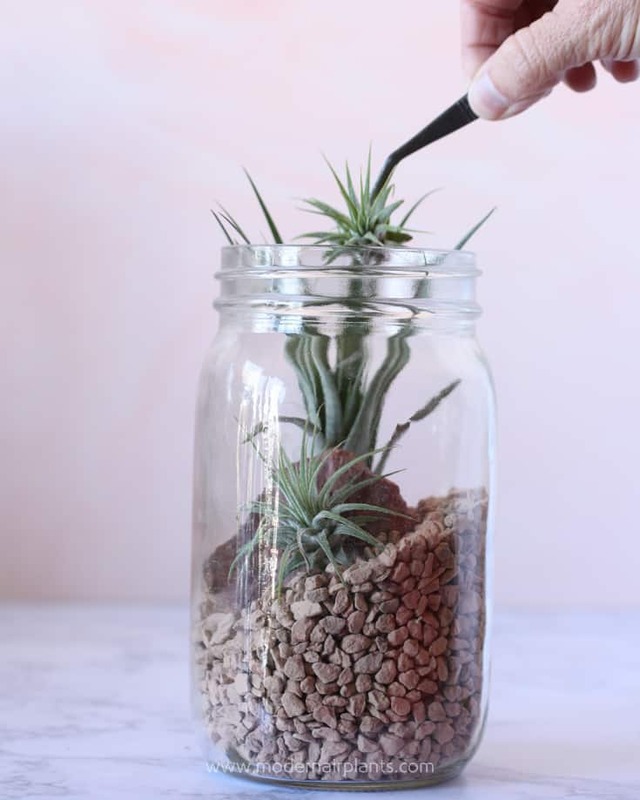 Use your tweezers to add air plants to hard-to-reach places. 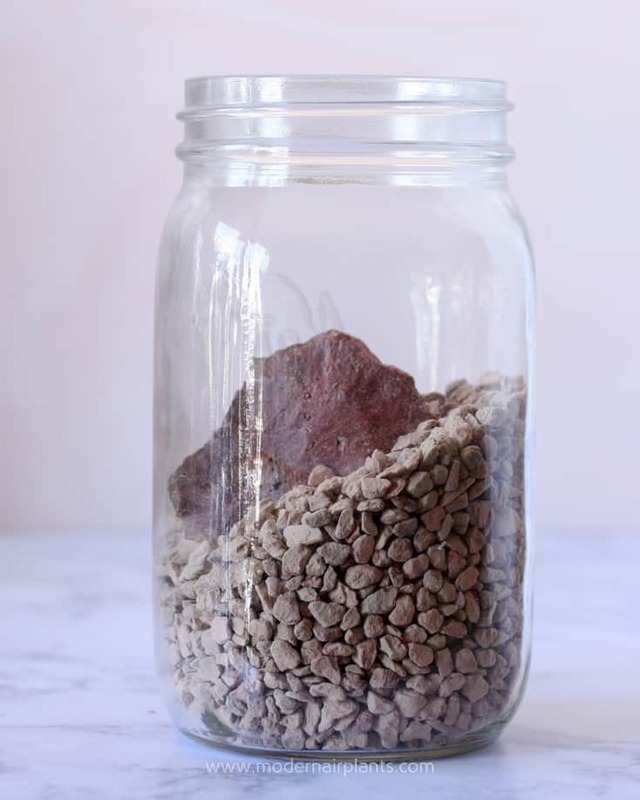 This red rock terrarium is a nod to the desert I love so much! I couldn’t make a tiny sandcastle, so I stacked up a mini cairn. No one will get lost here. 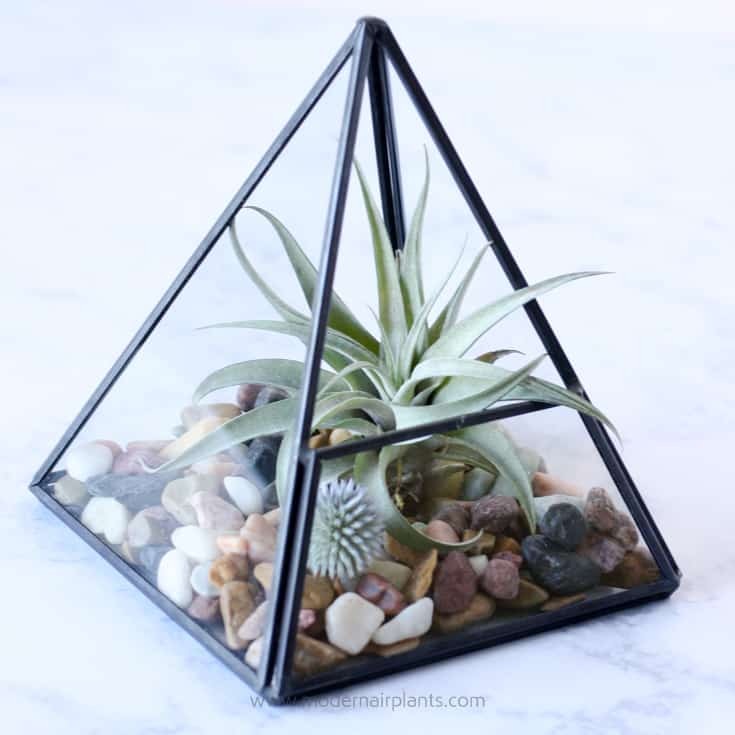 A little window allows for air flow into this pyramid terrarium. It looks exquisite with a T. harrisii, polished river rocks and a dried globe thistle. 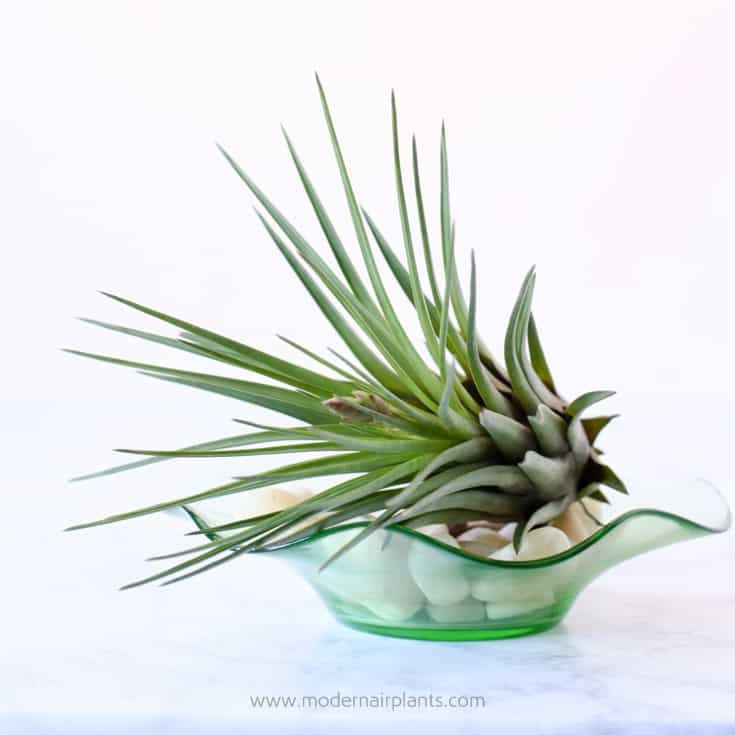 When using glass to display air plants, the kitchen is a great place to start. 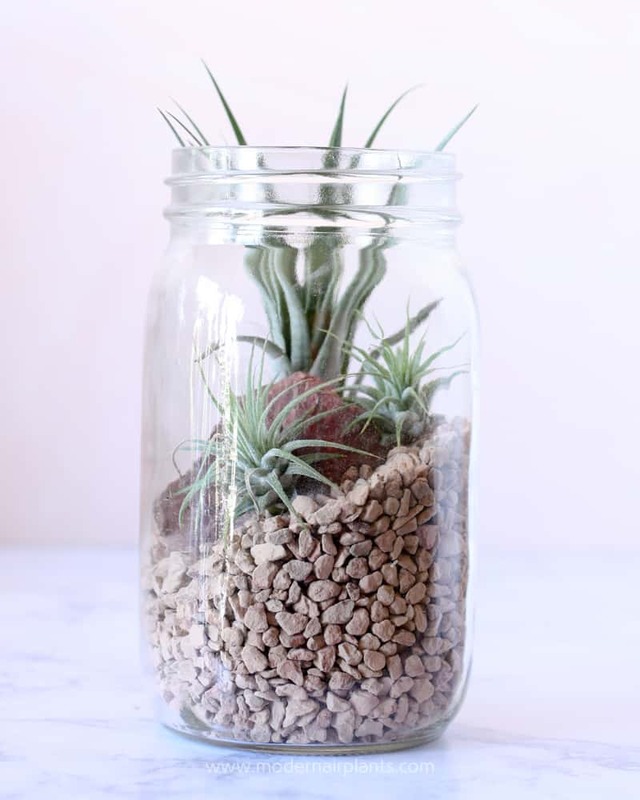 Everything from a glass cookie jar to to mason jars are all free game when it comes to displaying air plants. Glass is great because its transparent, but don’t forget colored glass. I love the total simplicity of this fasciculata resting in this wineglass. Just to keep things interesting, contrast this caput-medusae and dried amaranth with the above fasciculata. 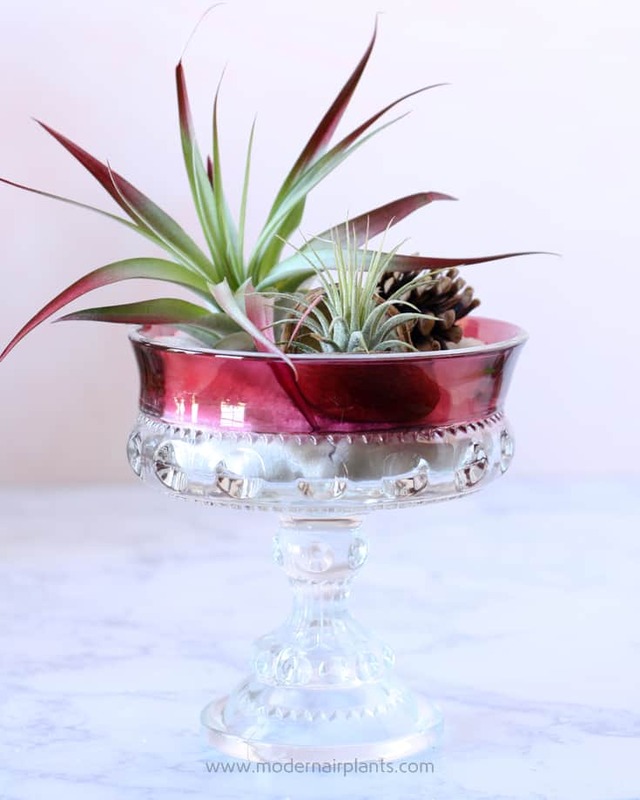 Here are a couple of ideas for glass air plant displays outside the kitchen. 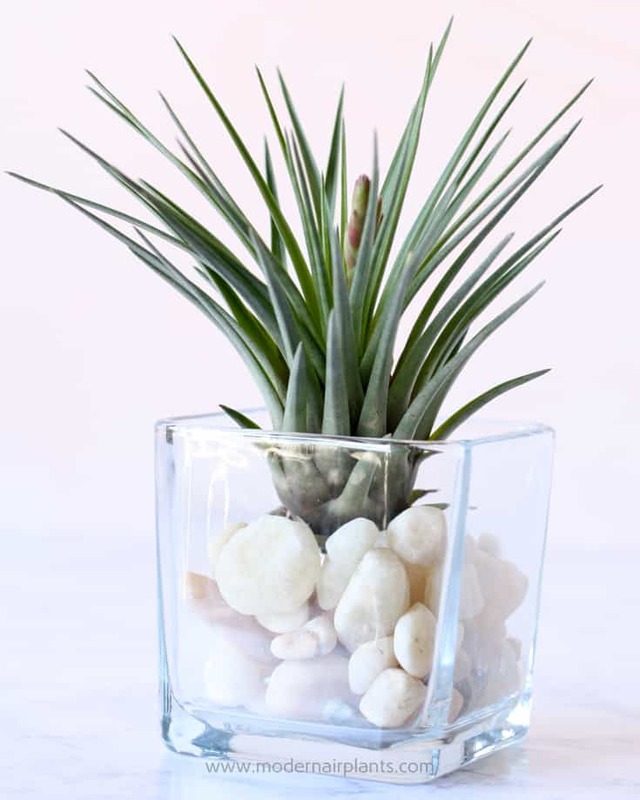 Another study in simplicity is this melanocrater tricolor in a square vase filled with light colored rock. This pedestal candy dish came from my great-grandmother. 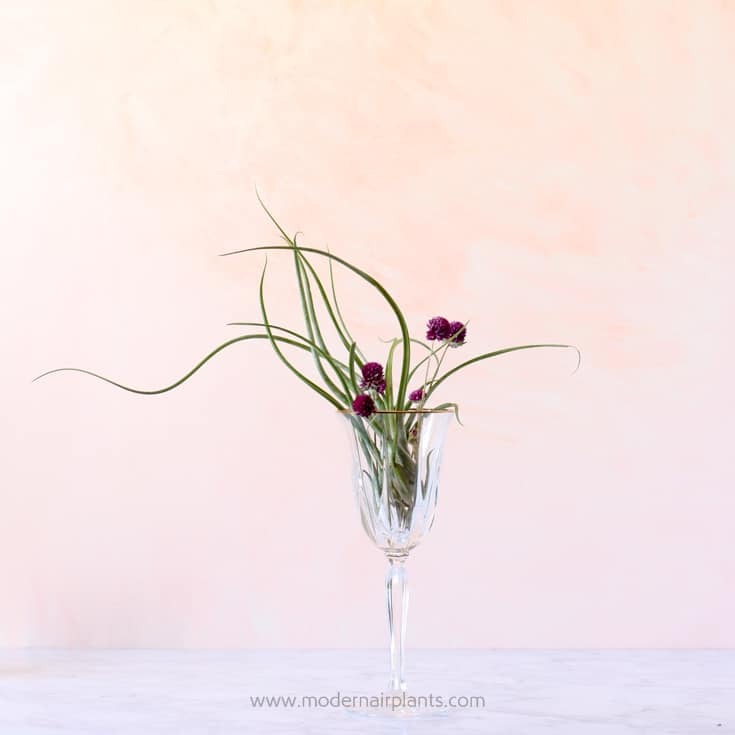 The red-tinted abdita coordinates with the candy dish and brings out the blush in the ionantha. To keep the plants from getting lost in the dish, the base of the dish is filled with white sand. When displaying air plants there really are no limitations. I’ve had these hummingbird feeders on hand for a while. My daughter used them in her fairy gardens, but kindly lent them to me to for displaying air plants. This peach capitata (so named because they turn slightly peach colored when blooming) has a nice, narrow base that fits in the feeder. 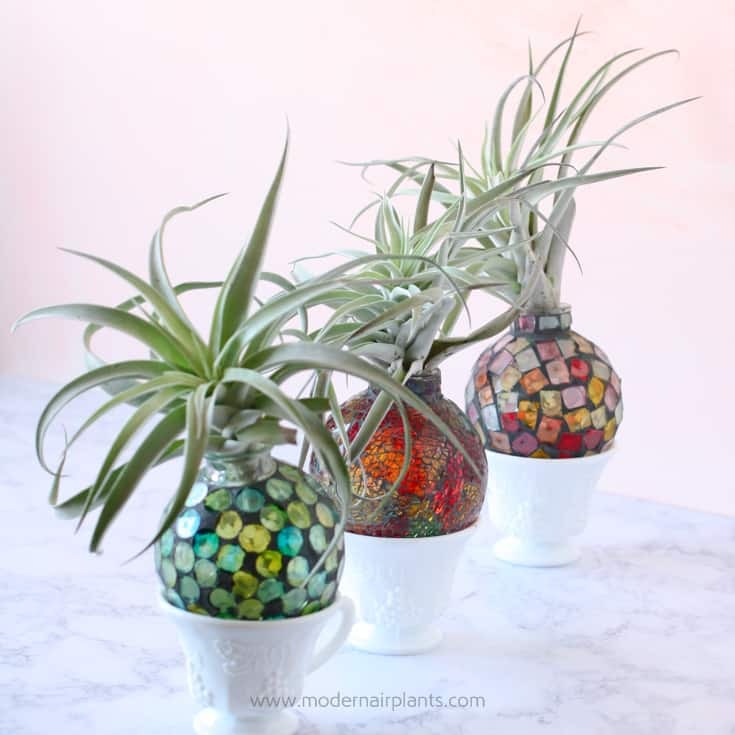 Rogue hummingbird feeders turned air plant vases prove you can find air plant display possibilities practically anywhere. 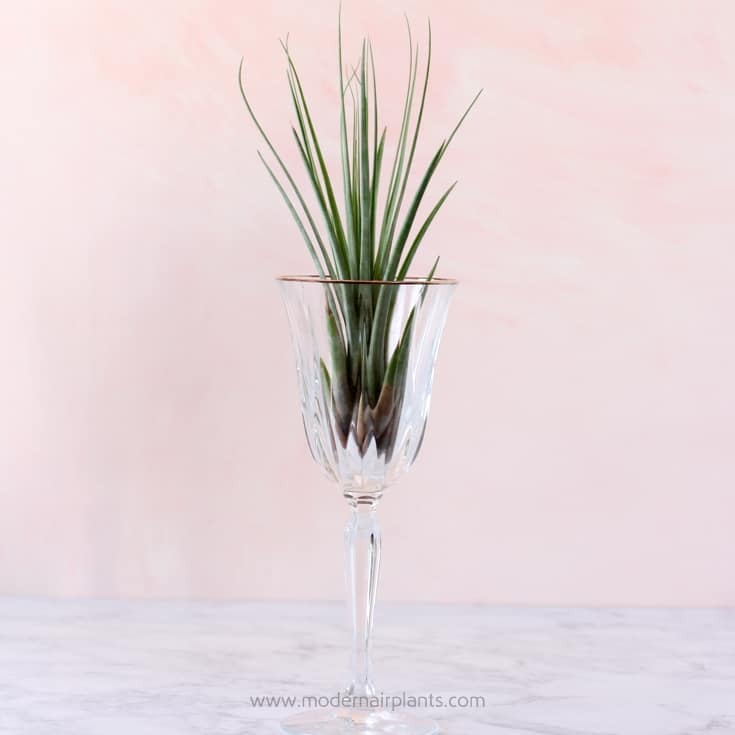 Scout around you home looking for glass to use to display your air plants. Everything is game-particularly if it’s made of glass. Nothing is safe from becoming party to an air plant display. I found a beautiful jewelry holder at a garage sale, it’s white and looks like a coral branch. You would normally put your necklaces and bracelets on the branches of the coral, but I found it’s actually a really beautiful way to display my air plants as it’s many branches hold them up in a variety of angles. I would love to know how to send you a picture! 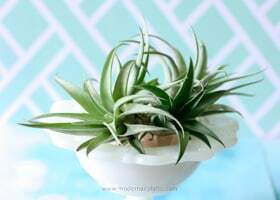 Thank you for such awesome information about air plants! 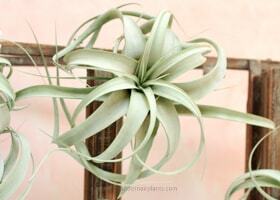 I share this almost on a daily basis with plantain Tuesday is looking to give air plants a try! 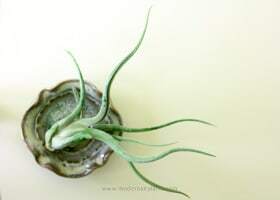 I love the idea of using a jewelry holder to display air plants! Yes! Please send me a picture at [email protected]. 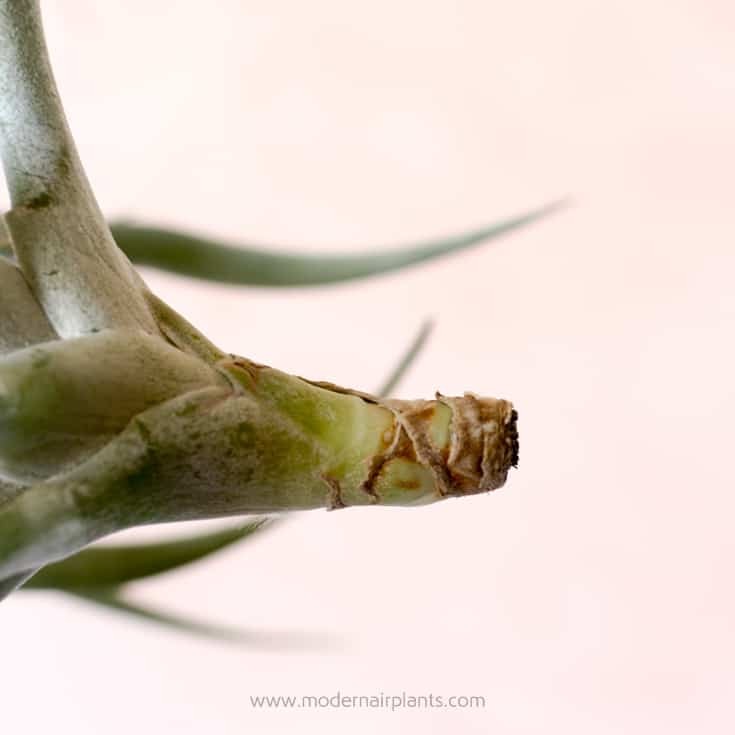 And, thank you for sharing Modern Air Plants. Thank you for the displays and the name chart. I have so much more airplants that I dont know the names of. 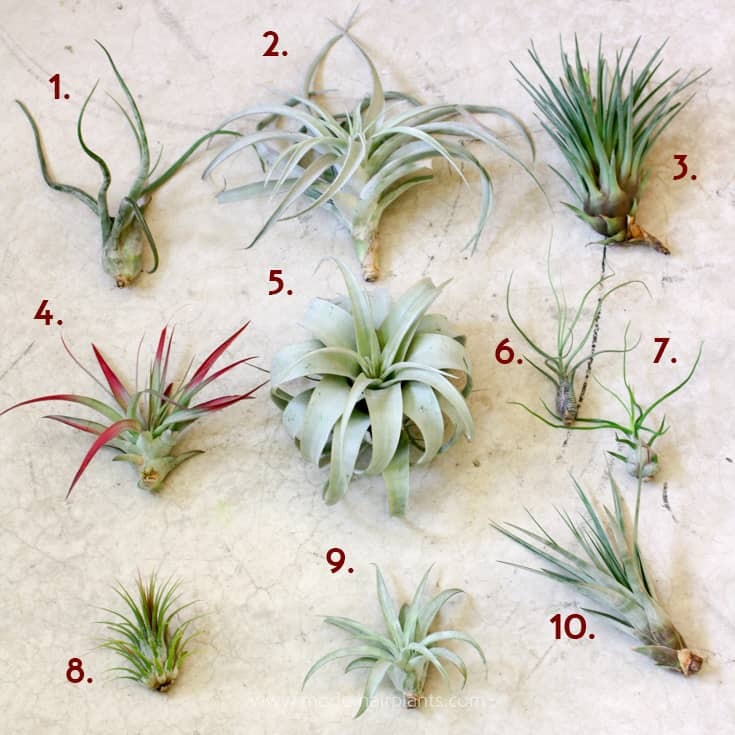 I know from experience that knowing the names of air plants can be tricky. Even pictures aren’t 100% reliable as they can look so similar in photos. When purchasing my plants, I always ask the seller to label the plants.